I previously made about three years ago two posts about coupled natural circulation loops. These were the results of initial investigations and badly incomplete. This new post brings a degree of completion to those analyses. The original two posts can be discarded. I have finally pushed through the analysis of two configurations of coupled natural circulation loops; (1) the energy source and energy sink are represented by constant-temperature heat reservoirs and, (2) the energy source is a constant-temperature energy reservoir and the sink is represented by a heat exchanger. The second is a little more representative of physical-domain applications. Additional initial investigations of the most general case having heat exchangers at both the source and sink indicate an almost intractable algebra problem. These more nearly complete analyses give the temperature distributions interior to the systems in terms of the boundary conditions, as it should. Systems of four equations for the four unknown interior temperatures that requires iterative solution for applications is obtained. The nomenclature is somewhat complex and the algebra, while straightforward, is tedious. A file in which the analyses are summarized is NewSimple2Loops07. I think these results have not appeared in the literature. All comments on the correctness of the results will be appreciated. The climate at a location is fundamentally determined by the radiative energy output of the Sun, the relationships between the geometry of the earth, the geometry of the revolution of the earth around the Sun ( the yearly cycle ), the relationship between Earth’s axis of rotation and the plane of Earth’s orbit ( the seasons ), and the rotation of the earth about its axis ( the daily cycle ). The climate at a location is determined to first order by these factors and the latitude and altitude of the location. The climate also can be influenced by significant, more-or-less thermally stable, bodies of liquid or solid water, primarily near the oceans but including also other large bodies of liquid or solid water. Weather at a location is the time-varying thermodynamic and hydrodynamic states of the atmosphere. Weather can be viewed as perturbations, deviations from some kind of norm, in the local climate. In this sense, one could argue that climate is some kind of temporal average of the weather at a location. Note, however, the descriptions in the previous three paragraphs of the basic factors that determine the climate at a location. These factors are independent of the temporal variations of the states of the atmosphere. The climate at a location is not determined by the weather. Local climate is determined by factors outside the domain of the states of the atmosphere. Climate and weather are both local and neither is global. There is no need to focus on any aspects of “global climate”: such averages are useless for decision support. Primary focus should be on the advantages and dis-advantages, if any, of the status and changes in local weather. It cannot be over-emphasized the extent to which focus on global-average changes in the “global climate” is mis-guided. Local decision support demands solely local information. It also cannot be over-emphasized that the complete lack of focus on local states is a major failing. The hour-by-hour, day-to-day, and month-by-month variations in local weather are determined by the effects of the net of the radiative energy into the physical phenomena and processes occurring within and between the thermodynamic and hydrodynamic sub-systems. All phenomena and processes, ( thermodynamic, hydrodynamic, chemical, biological, all ), occurring within the Earth’s systems of interest are driven by this net energy. Basically, weather is the distribution, and internal redistribution, of the energy supplies of sensible and latent thermal energy within Earth’s thermodynamic and hydrodynamic systems. The solar-system and Earth’s geometric relationships, and local altitude/latitude, are the primary reasons that we can know that the temperature, and the weather in general, at a location will be different, for example, at January and July. The degree of differences between the seasons primarily is determined by the local latitude and altitude. The degree of differences over the seasonal / yearly cycle is a strong function of location. Variations over the seasonal cycle are more or less distinct; the variations are either small or large depending on the location. Weather is thought to be chaotic. And the numerical solutions of the mathematical models for both weather (NWP) and climate (GCM) are classified as ill-posed, in the sense of Hadamard, initial-value problems; lack of continuous dependence on the initial data. The average of a chaotic response is itself chaotic. Thus, if climate is the average of weather, then climate is also chaotic. Again, the descriptions of climate given in the first three paragraphs above preclude the chaotic nature of weather being a part of chaotic climate. It is the Earth-Sun geometry and the axis of Earth’s rotation that determines that January and July are easily differentiated. That differentiation is independent of, is not a function of, the chaotic nature of weather. Chaotic is not random. Chaotic is the antithesis of random. Random fills phase space, whereas temporal chaotic trajectories are limited to the attractor and so by definition, cannot fill phase space. Weather is not random and is not noise; neither pink or white. Especially not white noise which has equal power at all frequencies. Averaging the trajectories from multiple runs of a single GCM, or one or more runs from several GCMs, does not in any way ensure that the so-called noise will be ‘averaged away’. The averaging is instead an averaging of different trajectories. Additionally, there is no way to ensure that the different trajectories are associated with ‘an attractor’ for the real-world case of spatio-temporal chaotic response, which is the case of finite-difference approximations to partial differential equations. If it is insisted that climate is the average of weather, then projections of the climate into future times demands that weather be correctly simulated by mathematical models that are used for the projections. The statement that, Weather is chaotic and can’t be projected with high fidelity to the physical domain, but climate can be, simply makes no sense. Validation, fidelity of simulations relative to the physical domain, of GCMs thus firstly requires that the calculations be shown to be correctly simulating the distribution and internal redistribution of the internal variations; that are responsible for the local weather. Validation relative to effects of increasing concentrations of CO2 must then require that the GCMs are correctly simulating how the distribution and internal redistribution of the internal variations have been altered by the increasing concentration of CO2 in the atmosphere. This is a very difficult problem. A first major difficulty will be in devising and development of procedures and processes that can be used to determine that changes in the phenomena and processes that are responsible for changes in local weather are in fact due primarily or solely to changes in CO2 concentration. A third order delta that will be exceedingly difficult to (1) observe and (2) model and calculate. The case of extreme weather events requires the same series of accounting if climate change is invoked as the fundamental cause. Extreme weather events are generally very localized. Thus if the invoked driving source of the event is a significant distance away from the observed occurrence, the effects of changes in the composition of the atmosphere are required to be shown to obtain over the distance of the course from the source to the location of occurrence. If the event is a mighty downpour of rain and the source of the rain is said to be the Oceans far away from the location of the downpour, it must be shown that the changes in the composition of the atmosphere are directly related to the fact that the water vapor survived its path from the Oceans to the downpour location, and that the previous composition of the atmosphere would have prevented the water vapor from surviving its journey. Sounds very difficult to me. Global metrics for assessing GCMs fidelity to the real world are of no use whatsoever relative to assessing the correctness of simulations of local weather. The changes in local weather are required for decision support. Additionally, none of the fundamental laws describing weather and climate can be usefully expressed in terms of global quantities. The state of the atmosphere and the state of liquid and solid phases of water, and changes in these states, are determined by local conditions. No physical phenomena and processes, governed by the fundamental natural laws, have been demonstrated to scale with global averages of anything. The temperature of the atmosphere, which has been chosen to represent changes in climate due to increasing concentrations of CO2 in the atmosphere, on the other hand, is determined by the path of the thermodynamic processes that the atmosphere experiences at the locations of interest. As the initial states are different, and the changes in weather are different, so will the temperature be different. Again, no dependency on the global-average state. Climate is local, weather is local. Weather is the variations in local climate. For decision support, the variations in local weather are what must be correctly simulated by GCMs. The models are required to be able to correctly simulate the changes in the weather variations due to changes in the concentration of CO2. Based on my comment here. Vertical heat transport through thermal convection of the earth’s atmosphere is investigated from a thermo- dynamic viewpoint. The postulate for convection considered here is that the global-mean state of the atmosphere is stabilized at a state of maximum entropy increase in a whole system through convective transport of sensible and latent heat from the earth’s surface into outer space. Results of an investigation using a simple vertical gray atmosphere show the existence of a unique set of vertical distributions of air temperature and of convective and radiative heat fluxes that represents a state of maximum entropy increase and that resembles the present earth. It is suggested that the global-mean state of the atmospheric convection of the earth, and that of other planets, is stabilized so as to increase entropy in the universe at a possible maximum rate. In moist convection, atmospheric motions transport water vapor from the earth’s surface to the regions where condensation occurs. This transport is associated with three other aspects of convection: the latent heat transport, the expansion work performed by water vapor, and the irreversible entropy production due to diffusion of water vapor and phase changes. 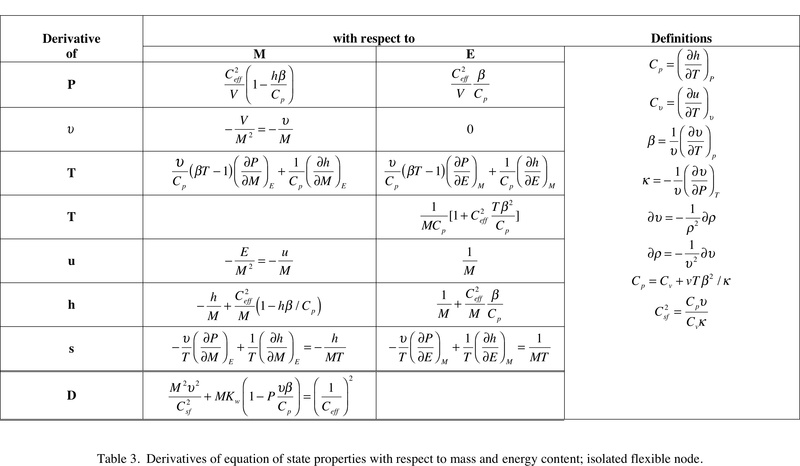 An analysis of the thermodynamic transformations of atmospheric water yields what is referred to as the entropy budget of the water substance, providing a quantitative relationship between these three aspects of moist convection. The water vapor transport can be viewed as an imperfect heat engine that produces less mechanical work than the corresponding Carnot cycle because of diffusion of water vapor and irreversible phase changes. The entropy budget of the water substance provides an alternative method of determining the irreversible entropy production due to phase changes and diffusion of water vapor. This method has the advantage that it does not require explicit knowledge of the relative humidity or of the molecular flux of water vapor for the estimation of the entropy production. Scaling arguments show that the expansion work of water vapor accounts for a small fraction of the work that would be produced in the absence of irreversible moist processes. It is also shown that diffusion of water vapor and irreversible phase changes can be interpreted as the irreversible counterpart to the continuous dehumidification resulting from condensation and precipitation. This leads to a description of moist convection where it acts more as an atmospheric dehumidifier than as a heat engine. R. D. Lorenz et al. claim that recent data on Mars and Titan show that planetary atmospheres are in unconstrained states of maximum entropy production (MEP). Their model as it applies to Venus, Earth, Mars, and Titan is reexamined, and it is shown that their claim is not justified. This does not necessarily imply that MEP is incorrect, and inapplicable to atmospheres, but it does mean that the difficult and unexplored problem of dynamical constraints on the MEP solution must be understood if it is to be of value for climate research. Here’s some recent info on the topic. Full papers are available at no cost. Finally, additional papers here. And even more here. I have moved this post to here. EPA Chief Goes Toe-To-Toe With Senate GOP Over Climate Science. U.S. EPA Administrator Lisa Jackson today defended the science underpinning pending climate regulations despite Senate Republicans’ claims that global warming data has been thrown into doubt. “The science behind climate change is settled, and human activity is responsible for global warming,” Jackson told the Senate Environment and Public Works Committee. Administrator Jackson was speaking for the EPA, and the Climate Science communicated to the US EPA by Climate Scientists. Statement on Litigation on EPA Endangerment Finding. The question of the science is settled. The evidence of, and threats posed by a changing climate are right before our eyes. EPA issued its endangerment finding because the U.S. Supreme Court ruled three years ago that greenhouse gas emissions constitute air pollution and that EPA therefore must determine whether that pollution threatens the health and welfare of Americans. EPA proceeded to carry out the instructions of the highest court in the land, and in doing so undertook a comprehensive and transparent review of the soundest available science. That science came from an array of highly respected, peer-reviewed sources from both within the United States and across the globe, and took into consideration hundreds of thousands of comments from members of the public, which were addressed in the finding. The conclusion: the scientific evidence of climate change is overwhelming and greenhouse gases pose a real threat to the American people. The question of the science is settled. [ my em-bolding ] The debate that should be taking place now is how to address this challenge and take advantage of the opportunity it offers. EPA is proceeding with common sense measures that are helping to protect Americans from this threat while moving America into a leadership position in the 21st Century green economy, creating millions of good-paying jobs along the way. Unfortunately, special interests and other defenders of the status quo are now turning to the courts in an attempt to stall progress, with the added effect, if they are successful, of halting the creation of millions of new jobs. EPA is confident the finding will withstand legal challenge, allowing the Agency to protect the American people from the significant dangers posed by greenhouse gases and carbon pollution. The US EPA is committed to science-based policy. In this case, its findings are based The Science as determined by The Climate Science Community and the associated Climate Scientists. I developed analytical solutions for a couple of simple transient compressible fluid flow problems that include fluid-structure interactions. I think the problems and solutions might be candidates for standard problems / benchmarks / Method of Exact Solutions. Implicit function theory is an important aspect of the analytical solutions. Getting the required implicit function theory results was proving to take more pages and space that the analytical solutions. I decided to document those results in these separate notes. The results needed for the analytical solutions are given in the latter part of the notes, beginning with Variable Fluid Control Volume. I have uploaded a Table that is in landscape and that I don’t now how to get into a portrait layout-document. That Table is here and should open in a separate window. There are tons and tons of algebra associated with this work; straightforward but tedious algebra. I have checked and re-checked but maybe haven’t cleared out all the errors. If you plan to use any of this material, let me know what is of interest and I’ll work with you to ensure that the equations are correct. The PDF file is here and should open in a separate window. A corrected version of Table 3 is here. There was a bug in the first column of the third row. There’s a typo in Eq. (1.8). The X_sub i in the last line ( the bottom part of the bottom ) should be Y_sub i. That’s a strange kind of bug; a typo in a nemonic device. I have uploaded the table as a PDF file and provided this URL link in my post: https://edaniel.files.wordpress.com/2011/01/testbridgmantable.pdf . You’ll have to copy-n-paste the link into your browser. That is the same Table mentioned in the Post, and you don’t have to copy-n-paste the URL; it’ll open from the PDF. Note that Eq. (1.33) can be written in terms of the square of the sound speed. And in a few places following Tables of derivatives, I said that the entropy derivatives had not been reduced when in fact they are shown reduced form in the tables. Steve Fitzpatick is summarizing important aspects of radiative energy transport and its interaction with material in the Earth’s atmosphere, at Jeff Id’s tAV. I think many of these phenomena and processes are represented by parameterizations. A two-fer; injecting politics into science and making statements not supported by science. So long as it doesn’t make too much noise. For me, this situation speaks volumes.